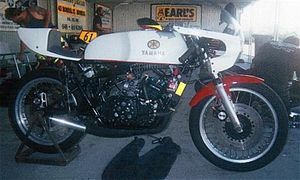 At the start of 1972, Yamaha Factory mechanic Ferry Brouwer fitted a pre-production watercooled top end set-up to "Brit" Chas Mortimer's TD3. The paddock was buzzing with excitement at this revelation and by the time the GP season had kicked off, several other leading riders had appeared with the same equipment. 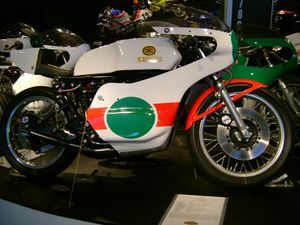 The TZ250A came out in June 1973 and, like the 350, was virtually unchanged porting wise from the previous aircooled racer apart from a slight widening of the main transfers, also, the exhausts were unchanged. 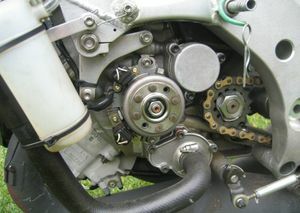 Major differences from the TZ350 included barrels and pistons, cylinder head and primary transmission which also required a different water pump gear. 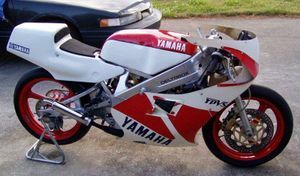 Yamaha also chose to "beef up" the main and small-end crank bearings as well as a few other minor mods . Output was up slightly from the TD3 to 51bhp @ 10,500rpm. 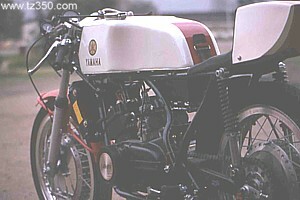 1976 saw the appearance of the much awaited TZ250C. The biggest news here was the new "Monoshock" chassis, with the rear shock featuring adjustable pre-load and compression damping, as well as disc brakes front and rear. Motor-wise, the factory chose to pursue ease of riding rather than outright horsepower. Revised porting comprising wider intake and transfer ports with altered angles of entry, raised compression and a new exhaust achieved this for them to a certain degree. The exhaust was mounted on new design brackets, and the clutch basket "boss" to primary driven gear attachment was improved by changing from previous model's "dog" teeth to a female spline, this of course required the primary driven gear to be altered to utilise a male spline. 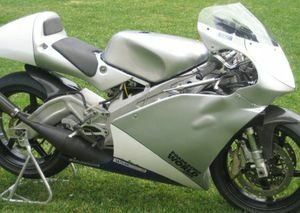 The bike sold remarkably well at just £ 1,500 including a well stocked spares kit. 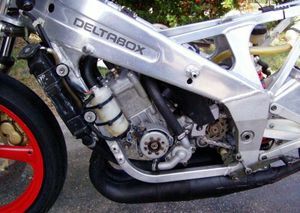 The "D" model of 1977 was just about identical to the previous model except for the inclusion of revised heads with angled spark plugs and new expansion chambers with silencers as standard issue. Minor changes included the side gearbox drain bolt gasket, 2 crank web halves, base gasket and the center crank bearing. Carburetor mods including new floats, float chamber gaskets and choke systems also appeared. Peak power hopped up by 1 to 53bhp@ 10,500rpm. 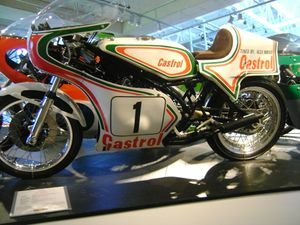 The factory's 1978 250cc offering, the "E" was a little disappointing in that it was virtually unchanged from the previous year's offering, apart from a new chassis which had the engine sitting approx. 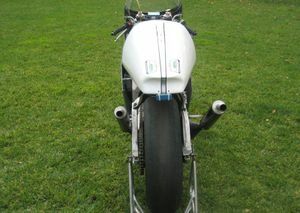 20mm further forward, the bike's swingarm remained the same. The front of the engine was retained by a pair of alloy mounting plates which required an additional 20 or so bolts, nuts and washers to secure to the engine and frame. The rear lower engine mounting bolt was also lengthened by 5mm. 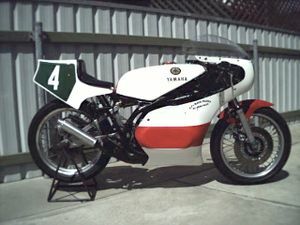 A TZ250E prepared by Kel Carruthers and ridden by Californian Kenny Roberts notched many wins in the 1978 World Championships. 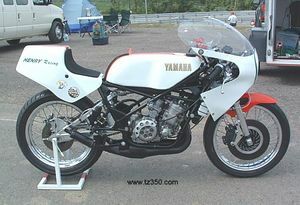 The TZ250F heralded welcome news for Yamaha fans when it was released in 1979. 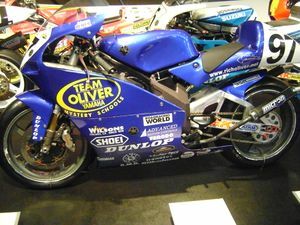 A 11kg weight reduction was achieved through further changes to the frame, (despite the fact they reverted back to welded steel engine mounting brackets from the alloy ones on the "E") including a steeper rake and an alloy swingarm, as well as this the bike featured a new exhaust and mounting system, an additional o-ring (from the previous single o-ring) in the header pipe, new conrod, wider intake port and minor carburettor mods. The primary drive gear picked up 2 teeth to match the 350's 25, the cylinder drain tube was altered. A dipstick was also introduced and the brake calipers became cast alloy units like the 750's . 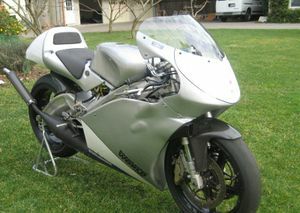 Power remained the same as it had since the "D" at 53bhp @ 10,500rpm. 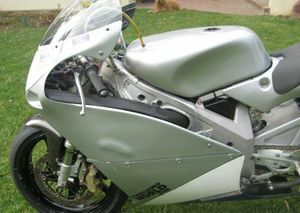 A new fairing adorned the machine which was pointed below the header pipes and eliminated the old aluminium belly pan, a new fuel tank and seat unit appeared, and the clutch cover was reduced in size to a pressed aluminium job (the previous models utilised a cast aluminium unit completely covering the clutch) surrounding just the rear of the clutch unit. 1980's "G" model was a further departure from the "norm" of the past 3 or 4 years. 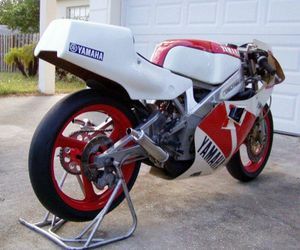 But they were still just incremental type changes since Yamaha had virtually monopolized this class of racing in 1979. New, larger diameter forks were fitted in an effort to combat the front end "patter" problem that was frustrating so many riders. Motor-wise Yamaha went all-out for peak horsepower at the expense of engine lifespan by drastically increasing the inlet timing period by removing almost 8mm from the rear of the pistons (and slightly increasing bore size) . Thie allowed for 500 rpm higher revlimit. This mod caused real problems with piston wear, despite the factory's attempt to counteract it with the inclusion of a short supporting "tongue" protruding down from the top of the inlet port in a vain attempt to reduce piston rocking. 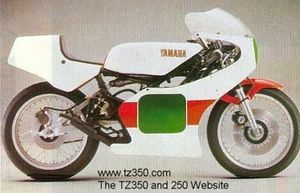 TZ250 G's were, as a result, very expensive to maintain, requiring re-builds after every race, though no-one complained about the extra 4bhp it provided over the D/E/F models ! 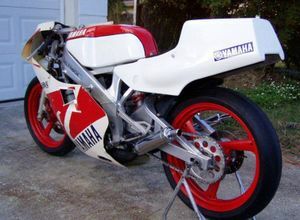 Yamaha also increased the width of the secondary transfers slightly this year as well as fitting powerjet carburetors. The 1981 "H" represented the factory's first departure from the popular 54mm bore x 54mm stroke (essentially) configuration of the previous 9 years along with a switch to an individual cylinder casting configuration. In an effort to further boost horsepower, the bore was increased to 56mm and stroke reduced to 50.7mm, achieving the full 249cc in the process and mechanical exhaust power valves were fitted, as was a transmission oil pump to deliver the reduced oil capacity of the gearbox to crucial points. 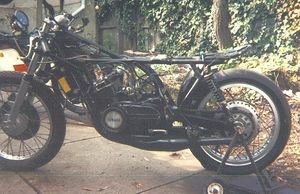 The "H" had a 38mm shorter motor than the "G" and 36mm ZC series Mikuni carbs replaced the usual 34mm SC's, which had been in use on the 250's since the TD3 way back in 1972. Intake port was again widened, as were the secondary transfers for the second year running. 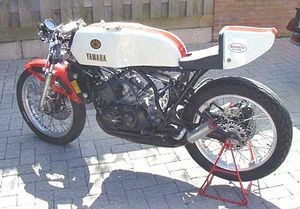 Unlike the TZ350, and earlier Yamaha TZ250, which shared many components including ignition, Yamaha chose to have built-in automatically variable ignition advance in it's Hitachi TIA02-16 CDI unit. It was programmed to advance linearly from the initial mark alignment static to a maximum advance of typically 14 degrees at 3000rpm. It then returned slowly and linearly as the revs increased, reaching the original alignment set point again at 10,000 rpm. Beyond 10,000 rpm it continued to retard at the same rate at which it approached 10,000 rpm. (i.e. 2 degrees per 1000 rpm). The "J" of 1982 was virtually identical to the previous model apart from a few minor "glitches" being sorted out from the "H". Marboro Team Roberts machine ridden to second place in the Unlimited Class of Formula USA by Rich Oliver. 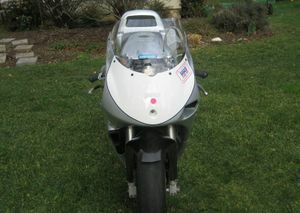 The "A" model was the last model to use the parallel twin motor design. 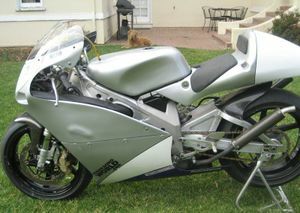 The following year the motor was completely re-designed in a v-twin configuration. 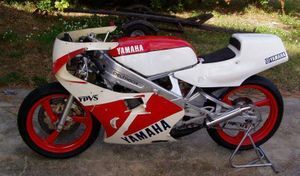 Colin Edwards rode this Yamaha to win the American Motorcycle Association Road Racing 250cc Championship in 1992. This model has a v-twin engine design, a departure from the traditional parallel twin motors that had been used since the mid 1960s. 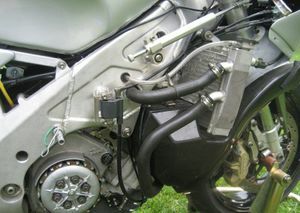 The V-twin is narrower, and has less vibration, so the chassis can be made smaller and lighter. Another bonus is that the design gives more freedom to cylinder port design. 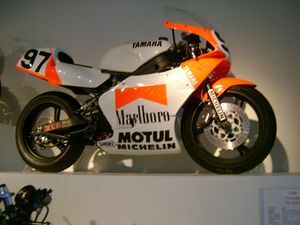 With the ban on two cycle motors for street use, the American Motorcycle Association decided to discontinued the 250cc road racing class at the end of 2004. 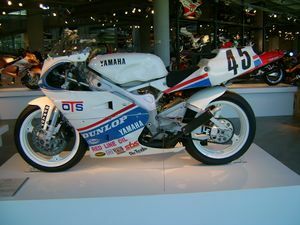 Californian Rich Oliver proceeded to win every 250cc race in the final year on this machine, including the very last 250 AMA race which took place at Barber Motorsports Park. Front tyre 2.75" x 18" 2.75" x 18" 2.75" x 18" 2.75" x 18" 2.75" x 18" 2.75" x 18" 3.0" x 18" 3.0" x 18" 3.0" x 18"
Rear tyre 3.0" x 18" 3.0" x 18" 3.0" x 18" 3.0" x 18" 3.0" x 18" 3.0" x 18" 3.5" x 18" 3.75" x 18" 3.75" x 18"
This page was last edited on 12 December 2010, at 02:46.